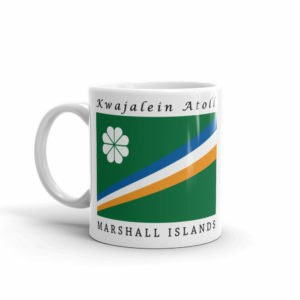 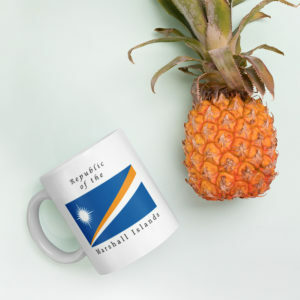 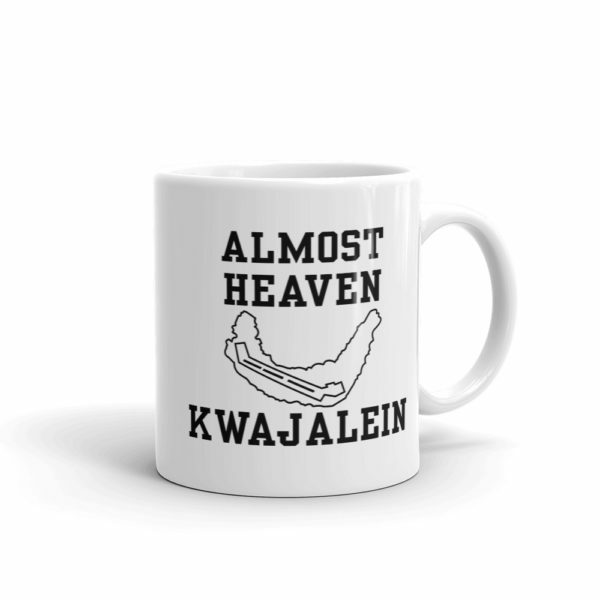 RETRO – This is a near-perfect replica of the 1970’s “Almost Heaven – Kwajalein” t-shirt design that sparked the Kwajalein T-shirt Revolution. 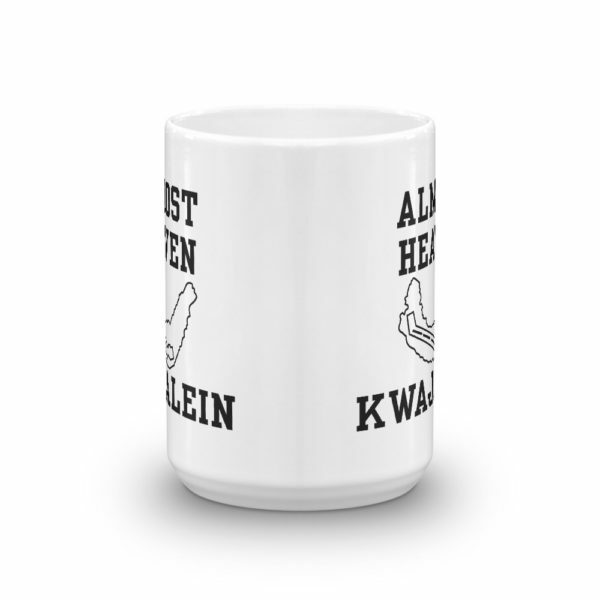 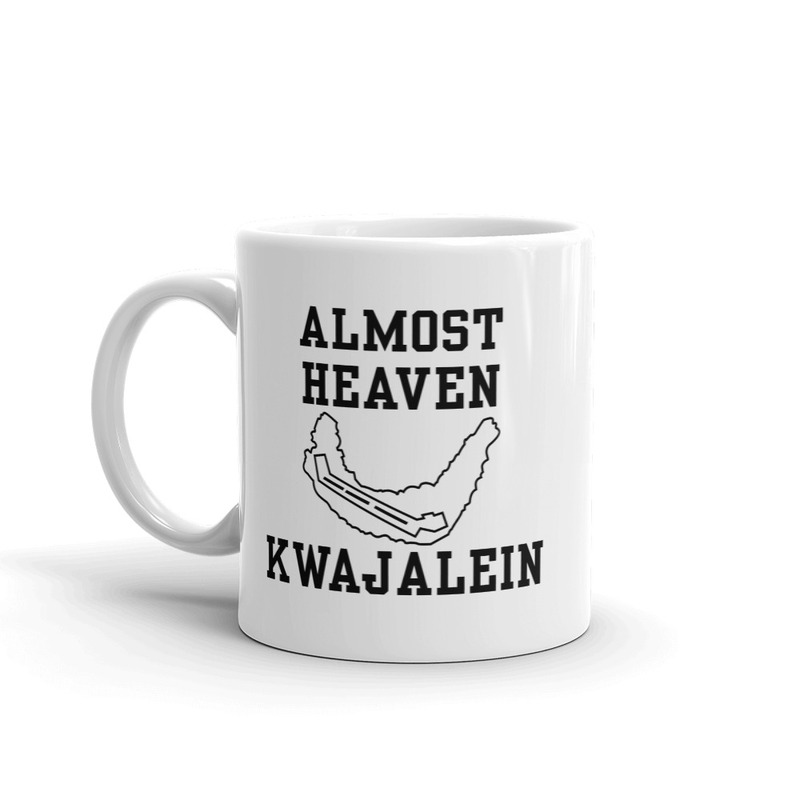 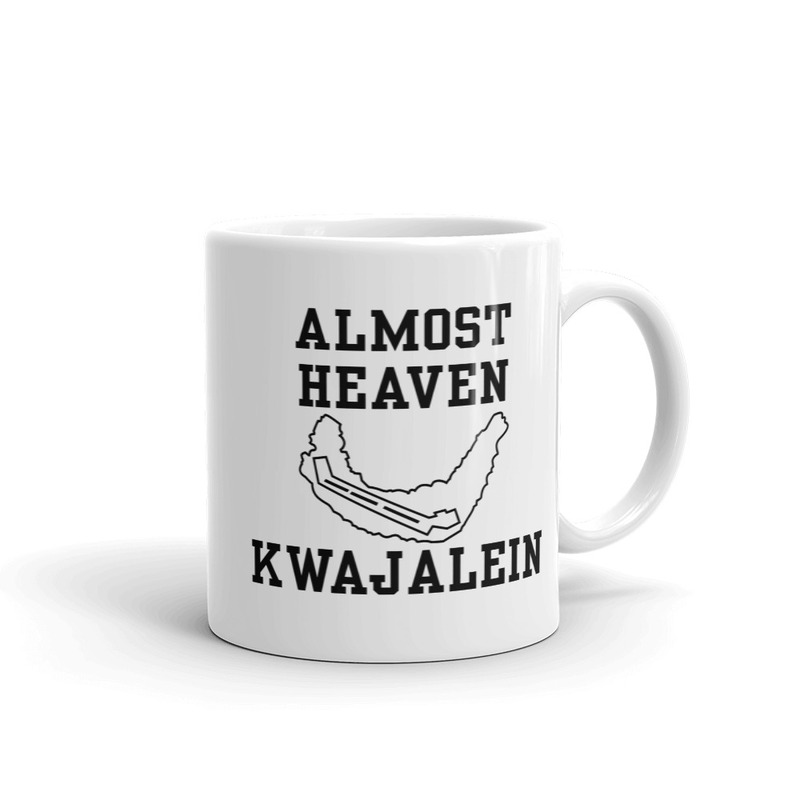 Current and ex-Kwajers will appreciate this design, which is available only on this coffee mug and on the Ringer Style heather gray t-shirts. 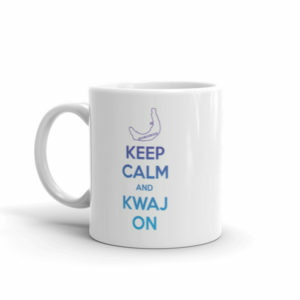 This is the perfect retro design for Kwajers of all generations and is a great keepsake for yourself or to gift to Kwajers who are from “back in the day”.